The Scottish medical missionary James Henderson (1830 – 1865) received his medical training at Edinburg medical school. After a brief spell of medical practice in Scotland, Henderson joined the London Missionary Society and was sent to China in 1860. Henderson worked at the Missionary Hospital in Shanghai, taking over the position vacated by his predecessors William Lockhart (1811 – 1896) and Benjamin Hobson (1816 – 1873). At the time the Treaties of Tianjin (1858) had consolidated the treaty system, and Shanghai was both growing rapidly and riven by violence. The war between the Qing government and the Taiping was raging. At the docks ﬁghting erupted frequently between rival migrant workers’ gangs from diﬀerent provinces. Henderson’s hospital often provided emergency treatment to victims of the violent conﬂicts. The hospital admitted Chinese patients suﬀering from leprosy, cholera, madness, opium addiction and numerous other diseases. During his medical career in China Henderson met several important missionary ﬁgures and left a substantial amount of writings in the forms of letter, memoir, hospital report and treatise. He was, moreover, one of the ﬁrst western medical practitioners who wrote systematically on the inﬂuence of Chinese climates on European health. I will in the talk situate Henderson’s work in the long tradition of personal hygiene in Western medicine. I will also examine the relationship between British medical studies on tropical hygiene and medical topography and Henderson’s medical thoughts. Lastly, I will discuss Henderson’s studies of the diseases that he encountered and his experimentation with their treatment. The Scottish medical missionary James Henderson (1830 – 1865) received his medical training at Edinburg medical school. 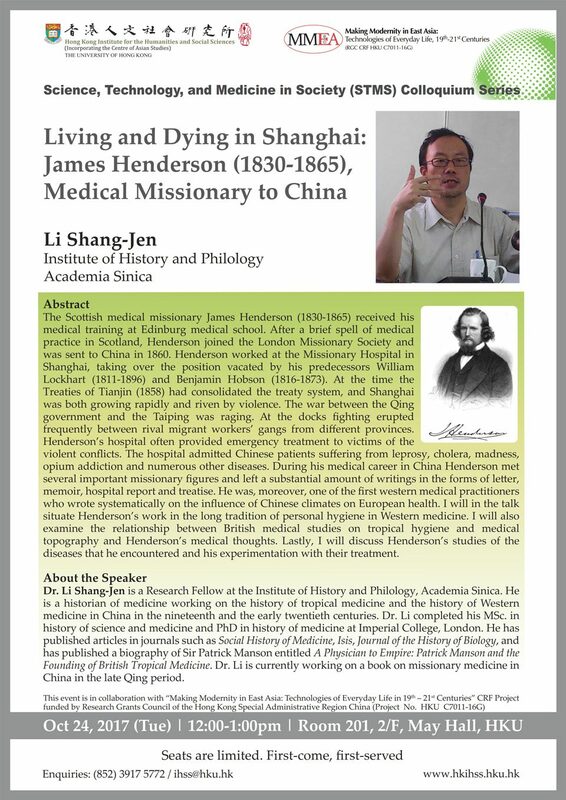 After a brief spell of medical practice in Scotland, Henderson joined the London Missionary Society and was sent to China in 1860. Henderson worked at the Missionary Hospital in Shanghai, taking over the position vacated by his predecessors William Lockhart (1811 – 1896) and Benjamin Hobson (1816 – 1873). At the time the Treaties of Tianjin (1858) had consolidated the treaty system, and Shanghai was both growing rapidly and riven by violence. The war between the Qing government and the Taiping was raging. At the docks fighting erupted frequently between rival migrant workers’ gangs from different provinces. Henderson’s hospital often provided emergency treatment to victims of the violent conflicts. The hospital admitted Chinese patients suffering from leprosy, cholera, madness, opium addiction and numerous other diseases. During his medical career in China Henderson met several important missionary figures and left a substantial amount of writings in the forms of letter, memoir, hospital report and treatise. He was, moreover, one of the first western medical practitioners who wrote systematically on the influence of Chinese climates on European health. I will in the talk situate Henderson’s work in the long tradition of personal hygiene in Western medicine. I will also examine the relationship between British medical studies on tropical hygiene and medical topography and Henderson’s medical thoughts. Lastly, I will discuss Henderson’s studies of the diseases that he encountered and his experimentation with their treatment. 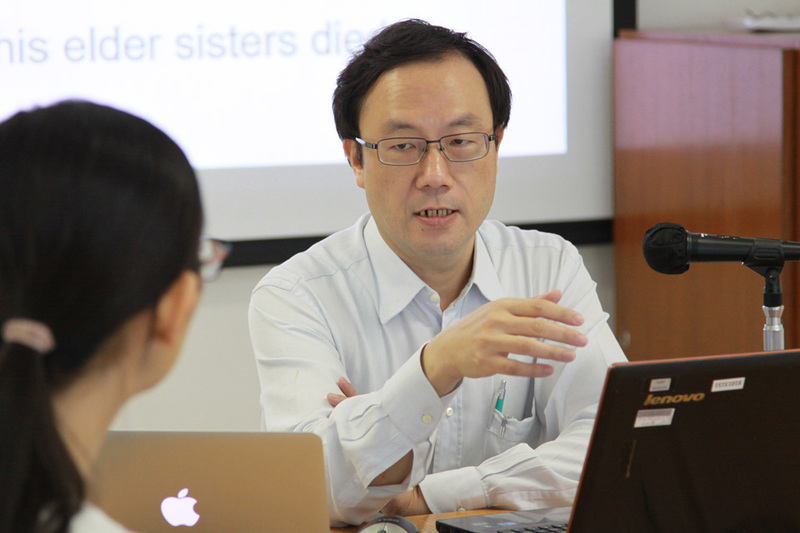 Dr. Li Shang-Jen is a Research Fellow at the Institute of History and Philology, Academia Sinica. He is a historian of medicine working on the history of tropical medicine and the history of Western medicine in China in the nineteenth and the early twentieth centuries. Dr. Li completed his MSc. in history of science and medicine and PhD in history of medicine at Imperial College, London. He has published articles in journals such as Social History of Medicine, Isis, Journal of the History of Biology, and has published a biography of Sir Patrick Manson entitled A Physician to Empire: Patrick Manson and the Founding of British Tropical Medicine. 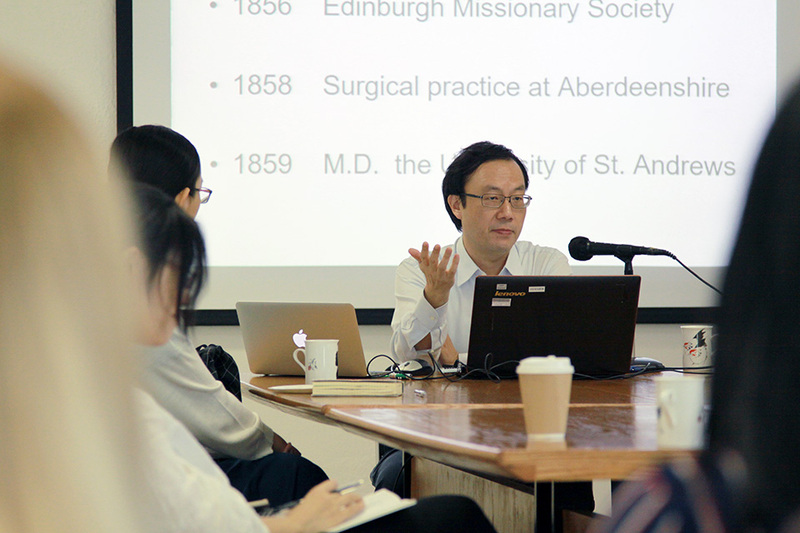 Dr. Li is currently working on a book on missionary medicine in China in the late Qing period. This event is in collaboration with “Making Modernity in East Asia: Technologies of Everyday Life, 19th – 21st Centuries” CRF Project funded by Research Grants Council of the Hong Kong Special Administrative Region China (Project No. HKU C7011-16G) and “Science, Technology, and Medicine in Asian Societies” Cluster.